Last night, I was tweeting and posting on Facebook pertaining to the extremely rapid developing flash flood southeast of Wichita. Here is one of them. And, this morning, we are learning of numerous water rescues and at least one fatality in exactly the area outlined above. Not only are people putting themselves in danger, they are risking the lives of the first responders. People are driving into flooded areas anyway. 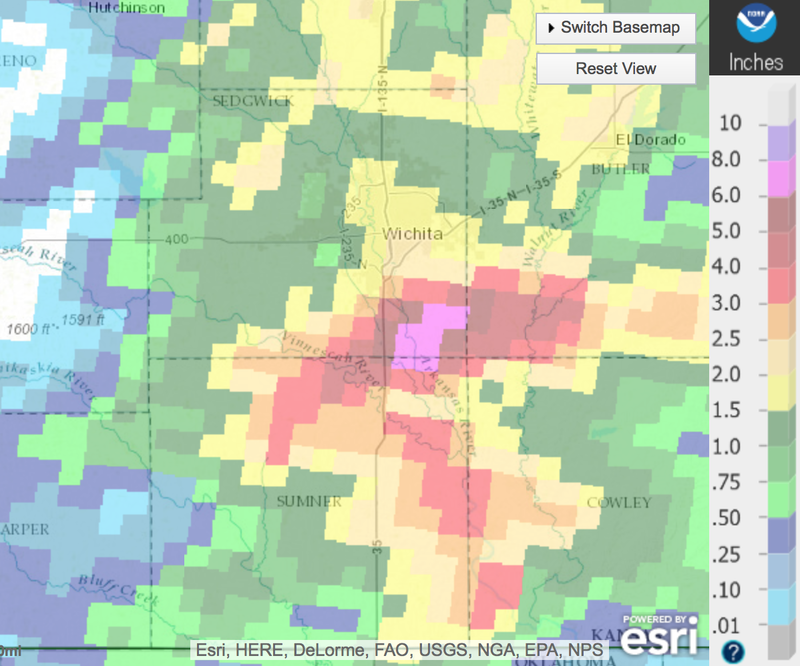 The Wichita area is not the only region with flash flooding this week. The Dallas Metroplex has seen heavy rain as have some other areas in Texas along with the catastrophic flooding in Louisiana. In the last two years, flooding has killed more than tornadoes+hurricanes+lightning in the United States. While meteorologists, social scientists and technology experts figure this out, please -- for your safety and that of your family -- turn around, don't drown.